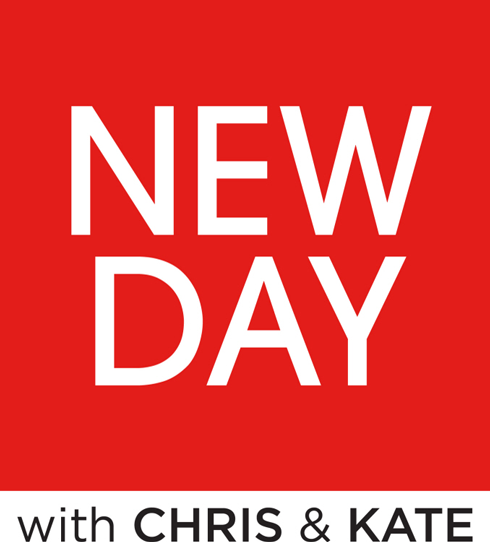 CNN has announced its new morning show will be titled “New Day” and sport a bright red logo. The choice of red is an interesting move, since it’s a bit of a harsh color compared to other morning show logos, which tend to be softer shades of gold, yellow, orange and blue, but it does mesh well with what seems to be CNN’s return to using red as a more signature color. According to our sources, new CNN boss Jeff Zucker wanted the new morning show to have a bigger studio, so Morgan’s entire set was moved next door to an empty neighboring studio. It’s also worth noting that the show’s logo only features the first names of the hosts, neither of which are exactly household names. Most likely a move to make the anchors appear more friendly, the strategy is a bit odd since, while everyone knows who “Matt and Katie” are, the names “Chris and Kate” don’t tend to conjure up instant associations. With the new “New Day,” CNN is moving away from the “start” branding strategy it had been employing in the morning with “Early Start” and “Starting Point” — but the name does still connotate the idea of getting started in the morning.